As part of our ongoing commitment to support the community, we are partnering with the Philippine Red Cross to raise funds for the typhoon relief operations. Let’s help our fellows who were affected by the typhoon. You can make a difference by donating Php50 with your 550 GrabRewards points or Php25 with your 225 GrabRewards points. All you have to do is go to your GrabRewards catalogue to make a donation with your points. 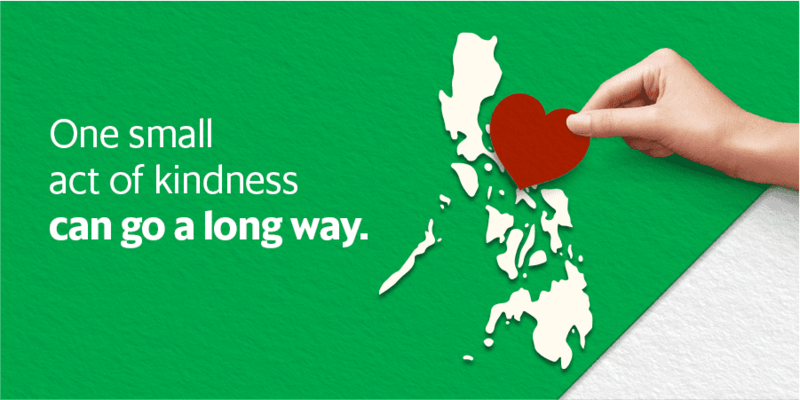 Rest assured that all of your redeemed reward will be converted to funds for the typhoon relief operations. Thank you. Every act of kindness counts.